According to a survey conducted by the Content Marketing Institute (CMI), 63% of businesses do not document their content marketing strategy. However, businesses that do document their content marketing strategy are more successful than those who don’t. Without a sound content marketing strategy in place, success or failure is based on sheer luck. Don’t take chances! If you’re looking to build and execute a powerful content marketing plan, you need a solid strategy. Here’s how to build one. Collect the demographic data of your audience such as age, location, gender, income, etc., and analyze it. Solicit customer feedback from your existing customers to ensure you understand their priorities, their pain points, best ways to reach them, etc. Once you have the demographic data and customer feedback in your hand, create buyer personas describing your ideal audience and potential customers. This exercise will help you fill the gaps in your content marketing strategy, and see what you need to change, add, and remove. As you walk through this process, you’ll get an idea of where your audience is most active. This will help you decide where to increase your online presence. You can leverage Google Analytics to get an overview of where your content is being shared the most. Using this information, you can select which network you should target to achieve maximum response and engagement. The next step is deciding the types of content you want to include in your content marketing strategy. 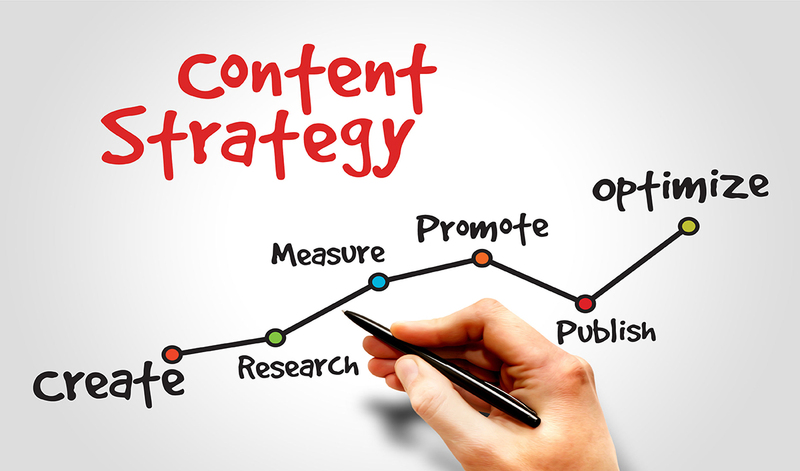 Many successful content marketing strategies use a single content type as their base and publish it on their site. It can then be re-purposed and shared on other channels. Once you’ve decided the types of content you want to include in your content marketing strategy, and where you want to publish them, use a content calendar to schedule your content. You can use Google Calendar to add due dates and types of content to be published. You can also assign tasks to different content creators. Finally, start preparing the content. Think about your brand’s voice, and write accordingly. Do you want to be formal or casual? Make sure the content you’re writing is engaging and informational at the same time. Maintain consistency with your brand’s voice and keep in mind the SEO aspects, too (what your clients will be searching for when they’re online). Finally, after you’ve executed your content marketing strategy, it’s time to measure the results. All you need to do is revisit your KPIs and analyze the response to collect the metrics. Not sure how to get started with your content marketing strategy? We’re here to help. Contact us today!